Happy New Year Lovelies! 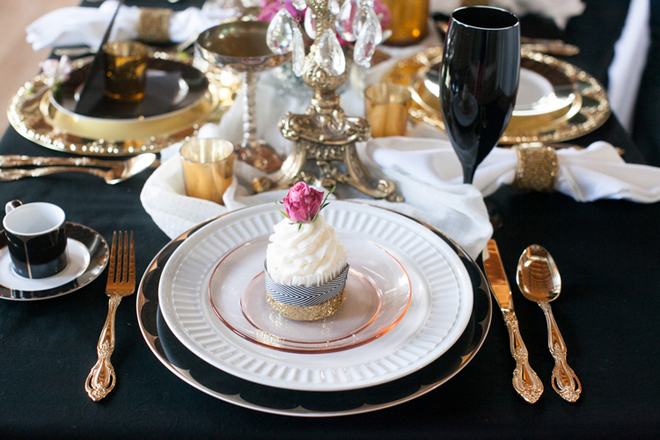 We thought this black and gold New Years tablescape would be perfect to celebrate today. The sparkly sequin linen is a gorgeous backdrop to this fun dimensional gold block centerpiece. We love the varying heights of the gold blocks topped with black candles. The small bunches of black ranunculus and pink tulips are cute little touches to pull it all together. We loved the stacked plated on each place setting too with the individual place cards. It makes for a very pretty look! 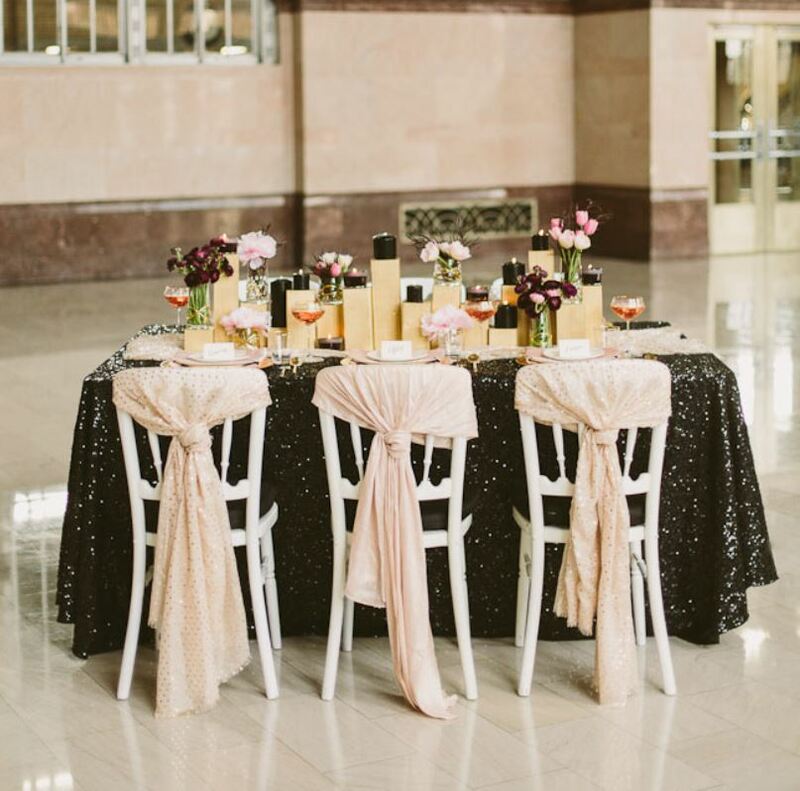 The creme chair covers really give this black and gold new years tablescape a fun and complete look!